I should preface this quick review with a simple WOW. 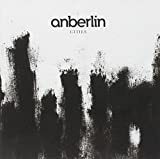 Anberlin is growing up and it shows throughout their third album. Stephen's voice has matured well while retaining the edge that makes him distinct. If you liked Never Take Friendship Personal or Blueprints for the Black Market then you should really check this album out. You can preview it at anberlincities.com. For the record, I gave up on Fedora for exactly the same reasons about a year ago. Ubuntu rocks, and to date I've only had one small dependency issue which occured when I attempted to jump two full versions with one dist-upgrade. The dependency was fixed in less than a minute and the upgrade continued on without a hitch. To quote Eric: Fedora, you had every advantage, and you had my loyalty, and you blew it. And that is a damn, dirty shame. I picked up a Nintendo Wii at the Target North in San Antonio this morning. (1604 and Blanco) They still had 10 or so on the shelf if you're interested. I'll try to post about the unboxing tonight. photo cube – frameless, cheap and easy! Find a block then tape or glue a photo to each face. Or you can do it that hard way like this guy. Nail two pulleys to the ceiling, run some rope through the pulleys and tie it to the bike, pull. Or, waste a bunch of time reading how this guy did. The bug to buy a Wii has bit me and I'm much too lazy to run around to all the stores so I've written a BASH script to check Amazon and email me when they are in stock. 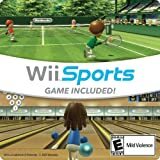 I'll publish the script right after I order my Wii. If you've already got a Wii, be sure to check out my growing line of Wii shirts. Ok by growing I mean one, but I do have a list of a more sayings to put on them. [UPDATE] Printfection though the Wii Hugger shirt was a copyright violation so I've taken it down until I can redesign it a little. I believe it's a parody and falls well within the fair use laws but don't have the time to argue with anyone about it now. The book is up on amazon already for pre-order! Go reserve your copy now and save the headache of standing in line at midnight. Some discussion should be happening soon here.